Installing a handicap bathtub in your bathroom can turn an often treacherous environment into a relaxing, worry-free spa. 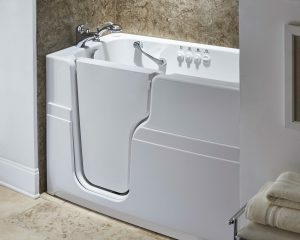 Many mobility challenged people worry about slipping and falling on a wet bathroom floor, or tripping over the edges of a traditional bathtub, but a walk-in tub could help eliminate these fears. Fortunately, residents of Indianapolis, Muncie, Kokomo, and other communities throughout central Indiana can turn to the experts at L.J. Stone Company, Inc. for the best handicap bathtub selection and service. If you or a loved one could benefit from a handicap bathtub, the bathroom remodeling experts at L.J. 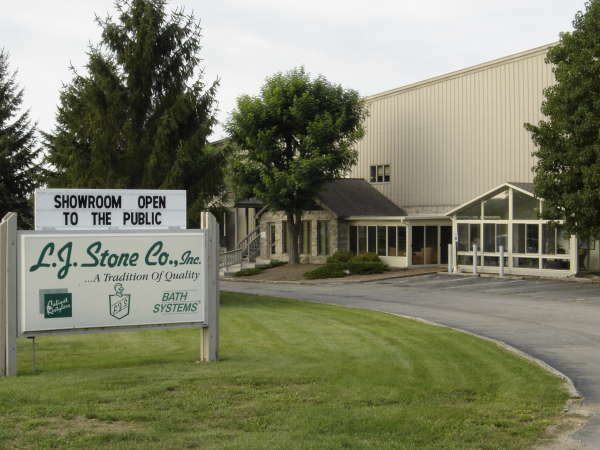 Stone can help you select the products that best meet your specific needs. We also offer a wide variety of additional home improvement products, including home windows, entry doors, vinyl siding, sunrooms, gutter guards, and more. To learn more about our handicap bathtub options, or any of our other home improvement products, contact L.J. Stone today. We are proud to serve residents of Greenfield, Greenwood, New Castle, Winchester, and all other communities in the greater Indianapolis area.